You’re ready to finally take the leap and invest in social media marketing. You’ve watched as over time other businesses have stopped relying simply on organic reach and have put the dollar where it counts; Facebook ads and boosted posts. You think to yourself, it’s time you do the same. 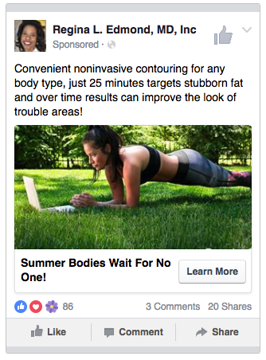 But wait… what’s the difference between boosted posts and Facebook ads? How will each type of marketing help your business grow in its own unique fashion? When perfecting your social media marketing efforts, it’s important to understand the benefits to each paid marketing tactic. Optimized for engagement (likes and shares), boosted posts consist of promoting content that already exists on your business page. Since Facebook generally only delivers your posts to 1% of your audience organically, boosting content will successfully build your brand’s reach and fan base. What posts should you boost? Content that will benefit your audience (current fans of your page and other audiences targeted) indefinitely. This is the content you’ve spent hours perfecting the copy and imagery to add something meaningful to your audience. With that sort of effort, it would be a shame for it to be wasted on minimal organic reach or disappear from your pages when your budget ends! However, with boosted posts your content will remain to be admired and referenced by your followers forever. The cherry on the top? You’re only charged for the interactions your post receives when someone likes, shares, or comments rather than the number of impressions you receive (aka the thousands the individuals who saw and loved your post). Boosted posts improve your brand’s social media engagement metrics and overall social presence! What’s in-depth, customized, targeted, and tracks results? A Facebook Ad. Facebook Ads typically have a larger immediate impact and are suitable for reaching attainable goals like lead captures, sales, and more. With detailed targeting, your Facebook ads can account for audience demographics and behaviors as specific as ‘planning to travel’ “ or as general as ‘lives in the United States’, and track analytics/conversions that will assist in future campaigns. 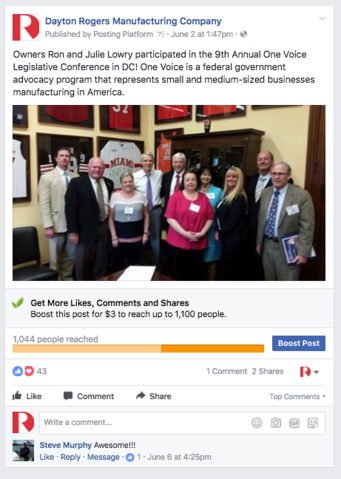 Can small businesses see results from Facebook Ads? Yes! Yes! Yes! Even if your business’s audience is small to non-existent, Facebook Ad campaigns can be utilized to grow your networks and successfully promote special events or discounts that may be time sensitive. Facebook Ads translate your brand’s presence into tangible outcomes and sales, enticing customers to interact directly with your business! When it comes down to it, utilizing both Facebook Ads and boosted posts in your social media marketing campaigns is a win-win, the best of both worlds, a chance to have your cake and eat it too, AND… well you get the point, the list never ends! You need to incorporate both tactics in your social media marketing to successfully build your likes, fans, and transform your followers into real customers. 3… 2… 1… Dive in with SocialMadeSimple’s expertise.